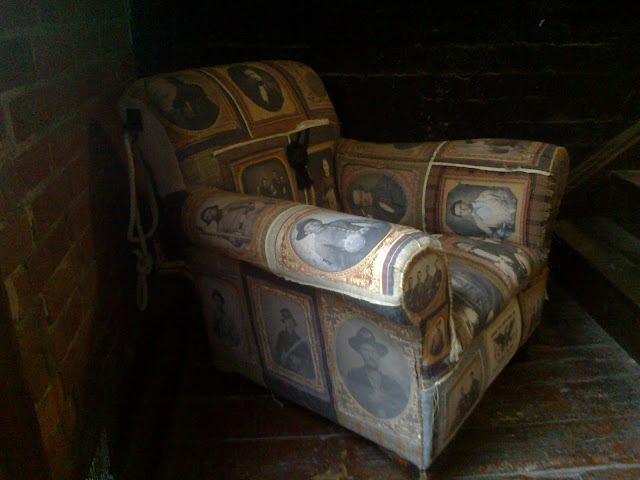 A CHAIR COVERED IN BEAUTIFUL OLD DAGUERREOTYPE PHOTOGRAPHS PRINTED ON VINTAGE FABRIC AND APPLIED TO OLD WOOL SUITING AND BLANKETS .PART OF THE CIVIL WAR EXHIBITION 2016. 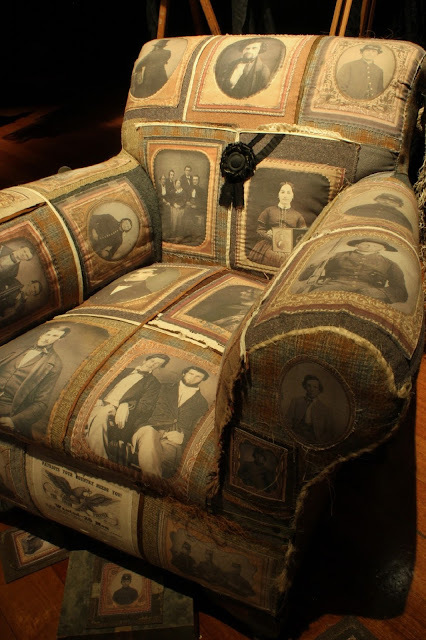 ART Civil war chair . Civil war furniture .family tree chair .photographic chair ., CIVIL WAR EXHIBITION . CIVIL WAR TEXTILE . FAMILY HEIRLOOM CHAIR . PORTRAIT CHAIR .